This award-winning community is now sold out. 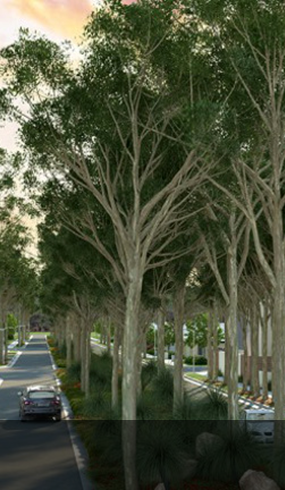 Land is still available, just across the road at Springfield Rise at Spring Mountain. 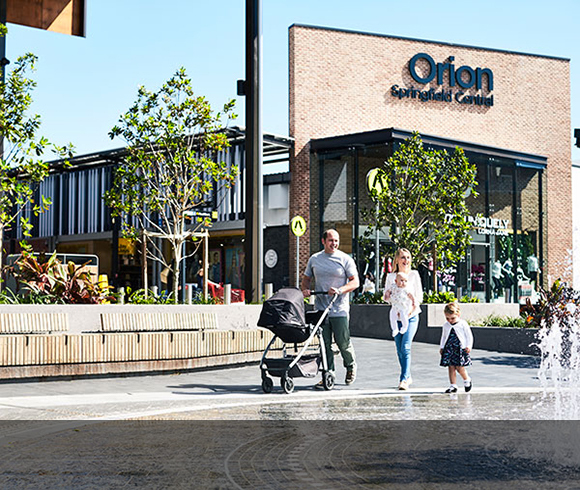 This masterplanned community, nestled within South East Queensland’s fastest growing region, was created as a place for people to ‘live’ their own way. You can walk beside lakes, through individual precincts, to diverse parks and green spaces with shopping, schools, health care and businesses a gentle ride away. It’s a place where you can choose either land or from a range of unique modern home designs from leading builders to suit any budget. A place where you can be part of a community, in which friendships thrive, families BBQ together and people are proud to tell their friends where they live. Springfield Lakes is a community where you can really feel you belong. "We were living in a unit where it was harder to approach other people. Here, we can say hi to anyone." Use the check boxes to view zones and points of interest on the map. In order to view full map functionality, please open this page in a desktop browser. Lakeside living with city-like convenience. Springfield Lakes features a display village with 18 quality homes on display from 13 builders. 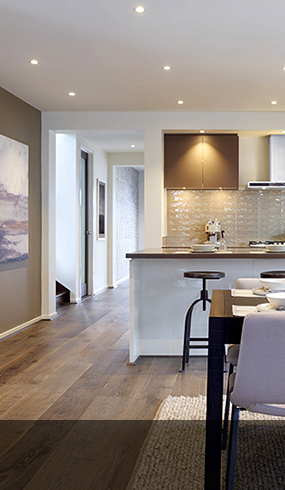 There are a number of ways you can create your new home in Springfield Lakes. Be surrounded by a unique environment with 3 lakes at the heart; shady lakeside walks, scenic picnic spots, water themed playgrounds, and water activities on the lake. Springfield Lakes has a range of education facilities, from local child care and preschool services to nearby private and public primary and secondary schools, TAFE and universities. 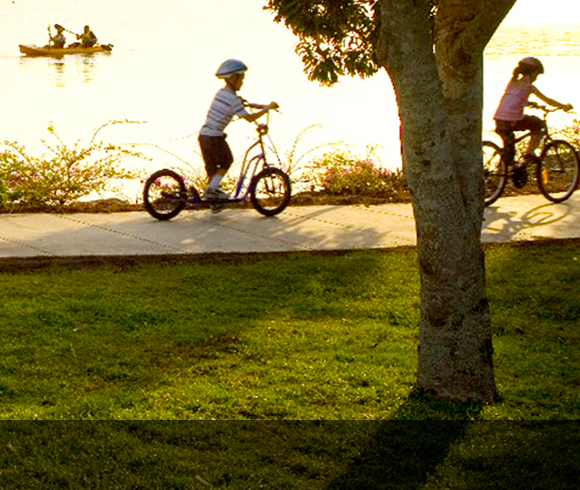 Springfield Lakes is an award-winning masterplanned community. 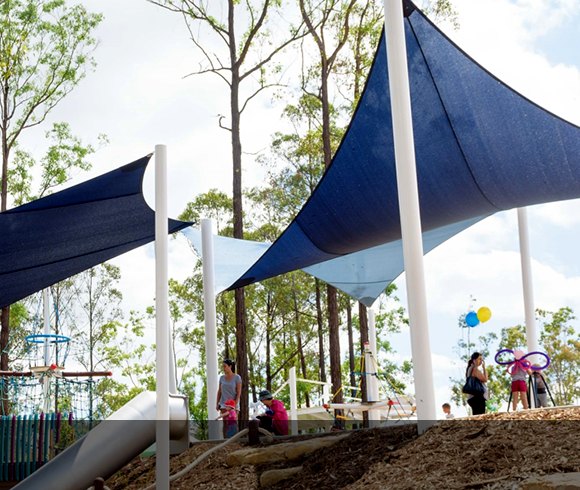 The 1200 hectare site nestled within South East Queensland’s fastest growing region was created as a place for people to ‘live’ life their own way. The Springfield Lakes Display Village Summer Street Party attracted a great crowd of people on Saturday 10th Feb, even in the very hot conditions! Kids were treated to the DreamWorks Trolls - Poppy & Branch, while the older kids and adults got the chance to meet and grab a photo or autograph with NRL and State of Origin legend, Corey Parker! Discover what’s happening in and around Springfield Lakes and Springfield Rise in our latest community newsletter for 2018! Check out our latest video update for an overview of development in our Springfield communities. Follow these tips to help keep your home, street and neighbourhood safe over the holiday break.